New to Orange County, California? There’s a lot going on and it can be hard to find a new barber that can do as good of a job as your old one. Instead of winging it try looking up reviews online and learn about a few of the places in your area. Reviews are great because people can express how the really feel and even post pictures to give you an idea of the quality of work. After reading reviews and finding a few places you like ask around. Ask your colleagues at work or friends in the area and see where they go or if they heard about some of the barber shops in Orange County CA that you were interested in. Now that you’ve talked to some people and looked around online it’s time to check out the shops! Each person is different and wants a certain vibe when getting their haircut. Some may want that quick in and out a rustic look with classic music or even a more country club atmosphere where you can relax and watch TV. The atmosphere is important because getting your hair done shouldn’t be an obligation but a time to relax and unwind. metro FOR MEN is the premier full-service men’s salon. Our barbershop in Orange County CA is a male exclusive masculine environment where men get all of his hair nail skin and body care treatments. A country club atmosphere metro FOR MEN offers a traditional shoeshine stand a private locker room and 12 personal satellite television with over 700 channels to catch up on the latest sports news or market updates. Why choose metro FOR MEN? Because we are different. What makes metro FOR Men different are the tools we use the products we choose and the in-depth training of our associates. 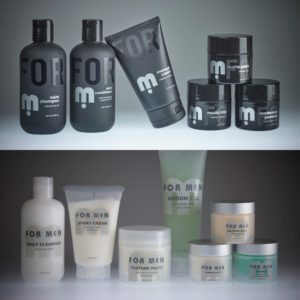 The products we use are formulated with men’s needs in mind because men’s skin and hair are different from women’s. Our associated training program goes farther than how-to. It dives deep into theory and the why of what we do and what men really need. At metro FOR MEN we believe in this so much that we guarantee it all. Don’t agree then don’t pay.